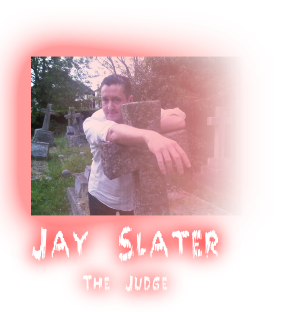 Jay Slater - Jay was born in Wimbledon, London, and was raised on a televised diet of fading Universal horror movies before being exposed to the video revolution in the early 1980s. At age ten, Jay had seen the uncut print of Zombie Flesh Eaters – a ‘Video Nasty’ – that caused him to have a two-week nightmare, and since then, has not looked back. Jay went on to write for Fangoria, Rue Morgue and The Dark Side as well as Total Film, Hotdog, Death Ray, Bizarre, DVD Review, SFX, Neo, Film Threat, PC Format, GamesTM, Retro Gamer and Xbox 360. In that time, he had interviewed many of the genre’s celebrities as well as pushing unknown low-budget filmmakers to the fore. Jay edited Eaten Alive! The Italian Cannibal and Zombie Movie (Plexus) that featured guest reviews from many leading people in the genre, from Alex Cox to David ‘The Crow’ Schow. He also assists in the production of disc extras as well as interviewing stars for DVDs such as Christopher Lee; to meet a cinematic hero in the flesh was therapy in an insane kind of way. In 2007, Jay left his senior editor role at Black Flame where he novelised screenplays such as Snakes on a Plane, The Texas Chainsaw Massacre, Blade: Trinity, The Butterfly Effect and Final Destination 3. 2012 represents a fresh set of challenges. Jay has commissioned and edited a number of award-winning and best-selling books such as The Worst Street in London (IAP), which is graced with a foreword by Peter Ackroyd, and Under Fire: A Century of War Movies (IAP). Jay also attends film festivals all around the globe and works as a freelance acquisition consultant for UK theatrical and home video championing the releases of I Think We’re Alone Now, The Horseman and Pontypool. Jay now welcomes a change of direction by working in film production as executive producer on the new Brit extreme horror anthology, Little Deaths, and co-producer on The Devil’s Business that is to grace a score by cult post-rock band Crippled Black Phoenix and was released in the UK theatrically in August 2012. He loves the mission. Miranda Magee - Miranda Magee is a versatile yet focused individual. Dynamic in both personality and character. An intensely gripping actress that can leave an audience wanting for more. Miranda brings a wealth of life experience into her performance that shines through on both stage and camera. Miranda has a positive and determined attitude with an extraordinary ability to adapt to all manners of working environments. 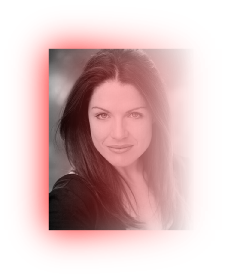 Miranda strives to gain as much experience in the performing arts as possible and is forever busying herself with stage, film, teaching and script writing. When not performing, Miranda is further developing her acting abilities with continuous and on-going training. Miranda is born to an Irish mother and English father where she inherits her dark hair and emerald eyes. Her cheeky pout and smouldering smile are words that best describe her look. Her talent was first identified as a young girl whilst performing in school drama classes. She then went on to compete in various competitions ranging in acting, original poetry, and classic and contemporary monologues. Miranda performed in her first professional show at the age of 12 in the grand re-opening of the Theatre Royal Margate in Aladdin playing opposite Trevor Banister, Billy Boyle and Stacey Dorning. Since the completion of her professional training Miranda has gained herself a reputation of reliability, diligence and honesty. Miranda is currently, acting in a new up and coming feature film by Katerina Philippou-Cutis “Marriage”.